In a Learner Demonstrated environment, learners begin at a level appropriate to their prior knowledge and learning needs; engage in productive struggle; progress at a pace that fits their learning needs; demonstrate competency when ready; demonstrate evidence of learning in multiple ways; and receive recognition based on demonstrated competency, rather than seat time. more students earned A’s or B’s when a course was delivered with a competency-based instructional approach rather than a traditional approach. *Fleming, R., Stoiber, L. c., Pfeiffer, H. m., Kienzler, S. e., Fleming, R. r., Pedrick, L. e., … Reddy, D. m. (2016). Using U-Pace instruction to improve the academic performance of economically disadvantaged undergraduates. Journal of Computer Assisted Learning, 32(4), 304–313. How Do Learner Demonstrated Experiences Help Students? 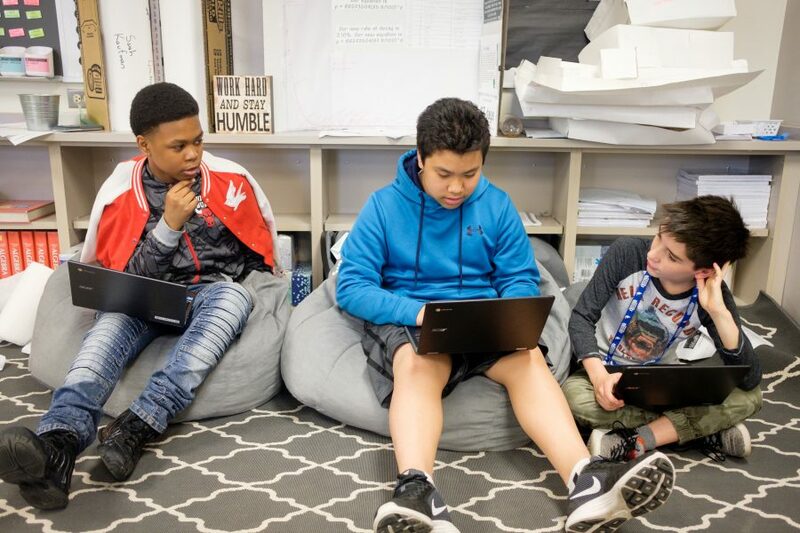 Students make academic progress, tackle challenges and improve perseverance when they are in classrooms that feature flexible but rigorous pacing and assessments. Teachers can make it safe to struggle and fail so that students recognize the importance of mastering a skill over just showing up for class and turning in required assignments. Students begin at a level appropriate to their prior knowledge and learning needs. Use all available data to determine where a learner falls on the appropriate learning progression for major and sub skills. Example: Teacher and learners regularly review data to set goals and adjust learning and instruction. Partner with learners to identify the most suitable learning format for their current academic level (e.g. class, groupings, activities, software). Example: A teacher has regular check-ins with individual learners after learning activities to discuss how successfully they learned something, and what that says for the types of learning activities they should focus on moving forward. 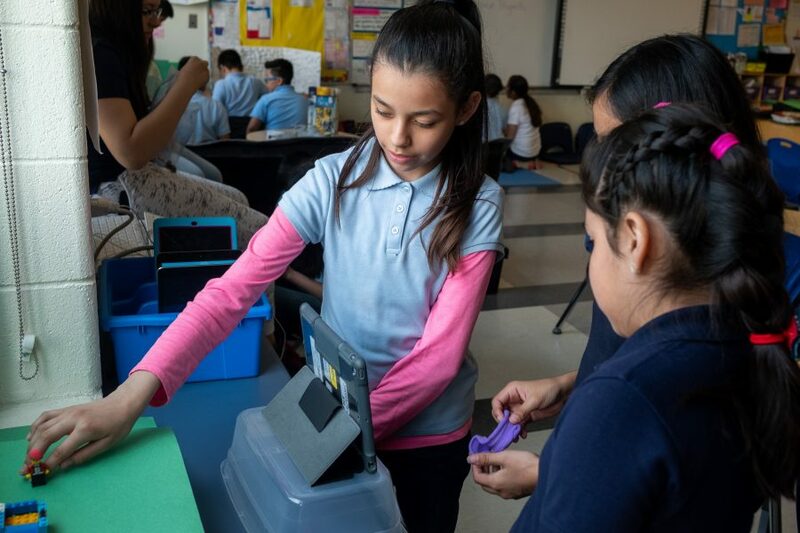 Design learning experiences that explicitly connect new content to prior knowledge and skills. Example: Using a learner profile, a teacher intentionally designs mini-lessons to build upon her learners’ past experiences and strengths. Articulate short- and long-term learning expectations that are appropriate for learners’ current academic levels. Example: A teacher sets goals with learners on which steps of a project learners will complete in a week. Example: A teacher starts each class with an entrance ticket to check for understanding, and then creates dynamic groups for mini-lessons or independent work that learners can opt into based on their needs. Students engage in productive struggle. Provide feedback that is objective and non-judgmental to reinforce a learner’s sense of control for improving his or her mastery. Encourage learners to experiment and try multiple strategies to solve problems. Example: A teacher gives an assignment where learners are assessed not only by how successfully they solve a problem, but by how many ways they can think of to solve the problem. Create rigorous learning experiences that involve multiple points of “failure” and require perseverance by learners. Example: A teacher has a board in her room where learners publicly share examples of times they have “failed” and what they learned from the experience. Encourage learners to reflect and report on effort and strategies as often as they do on results. Example: A teacher ends every class by having learners publicly share examples of peers putting forth great effort or using successful strategies. Provide flexible time to allow learners to struggle/work on a problem or project for an extended period of time. Example: A teacher implements a “workshop” block of time each day for learners to work on a range of projects and tasks at their own pace, but with set deadlines to maintain rigorous expectations. This allows learners to spend more time on challenging content and accelerate through easier content based on their skills. Students progress at a pace that fits their learning needs. Create learning menus and vertical alignment of activities. Example: A teacher creates a document listing out multiple activities and sources of information for learning about and practicing a specific learning target. Students then choose which resources to use to reach the given target. Use formative assessment and learner feedback to enable advancement if a learner has mastered the objective needed to move onto the next objective. Example: Students are allowed to skip a unit test and move on to the next topic if they have shown mastery of the content through earlier quizzes and assignments. Allow learners to move through content at varied rates regardless of their starting level. Example: A teacher has designated “assessment blocks” during the week in which students may take mastery assessments on a topic when they feel ready. Provide a daily workflow of formative assessment, intervention and feedback to learners. Example: A teacher establishes a transparent system using an online learning management system (LMS) for learners to take micro-assessments, receive or seek support based on results, and get direct feedback from a teacher or peer. Clarify deadlines about the pace of progress and what happens when learners take a longer or shorter time than peers. Example: As students work through content at their own pace, the teacher provides a suggested pace guide which explains to students by when they should master different concepts. It also explains the different supports that will be given to students who are not keeping up with the pace guide. Students demonstrate competency when ready. Offer learners opportunities to gauge and discuss their readiness for demonstrating competency. Example: A teacher offers learners “Checks for Understanding” throughout a unit, where learners can self-assess on how much they understand so far. Then, they discuss with a partner what they know and what they need to go back and learn some more. Allow learners flexible, ongoing and repeated opportunities to demonstrate competency. Example: A teacher creates a system so if learners don’t “pass” on an attempt, they may go back, learn and practice the content in different ways, attempting the assessment again when ready. Provide learners with on-demand access to assessments. Example: A teacher “flips” the classroom and learners are given assessment options to choose from when they feel ready. Coach learners to self-reflect on their level of competency. Example: A teacher has his learners rate their perceived level of mastery in their journals on a daily basis to build self-awareness. Model strategies for learners to confirm their level of competency prior to formal assessments. Example: A teacher creates a system of “peer-teacher-pretest” in which learners teach another learner a topic and determine, through that experience, if they are ready for a formal assessment. Students demonstrate evidence of learning in multiple ways. Provide learners with access to multiple assessment options. Example: A teacher provides learners a menu of options for how to show their understanding of a concept. Support learners to co-create the rubric based on the learning objective(s). Example: A teacher and a subgroup of learners co-create a rubric that will be used for assessing their project. Co-design with learners multiple ways for demonstrating competency with standards. Example: A teacher works with her class to develop a menu of options for how to show understanding at the end of a unit (e.g. make a movie, draw a diagram, give a presentation). Leverage digital platforms and multimedia to capture multiple forms of learning and build an ePortfolio. Example: A teaching team shifts to an ePortfolio platform to capture all work on a daily basis and provide multiple means of documenting and showing learning progress. Partner with learners to select the content, product or process they will use to demonstrate proficiency, as well as devise the methods that will be used to show evidence of their learning. Example: A teacher and learner work together to develop learning plans, including goals, strategies for learning, tools needed and how learning will be demonstrated. Students receive recognition based on demonstrated competency, rather than seat time. Identify which competencies need to be met to obtain credit, advance and/or receive other recognitions for learning. Ensure that learners are clear about expectations and requirements for recognition. Example: The team of teachers adjusts their report card to be proficiency-based and holds regular mini-conferences with learners to check their understanding of their progress. Create an organized and accessible system for tracking evidence of learning (e.g. performance, assessment, credits and competency progression). Example: A school team adopts a digital portfolio platform that is accessible to parents, learners and teachers and provides transparent issuing of recognition for work. Change classroom policies for learning recognition and progression that take into account varying speeds of learner competency. Example: A teacher removes the weekly summative assessment on the same standard for all learners, and she implements a new system with flexibility—but with set expectations—around when learners demonstrate competency. Provide learners with copies of standards and objectives to keep in their digital data binder. Learners can record when each standard and objective is taught, learned and mastered. Example: A teacher models for and supports science learners to design and develop their digital data binders over time. - Deunk, M., Doolaard, S., Smale-Jacobse, A., & Bosker, R. J. (2015). Differentiation within and across classrooms: A systematic review of studies into the cognitive effects of differentiation practices.